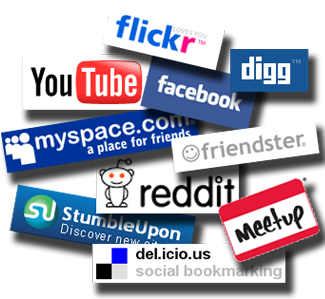 Social media also has a major impact on online marketing, and the way in which products and services are sold. Social media marketing is now the option used by several companies, to help their products and services gain recognition among their customers on the Internet. Additionally, it is one of the best ways to engage in website promoting and to gain publicity, as there are a lot of persons who are very suspicious of today’s marketing. Social media marketing involves various online communities coming together in order to create sales, opportunities and exposure. The top advantage of website promoting is that it increases traffic to your company website, and you will also be able to create new business partnerships. Therefore, having a website is a very important aspect of website promoting. Social media marketing is a form of online marketing, which enables businesses to generate more sales and profits by advertising and branding their companies via various social media networks. It is a great way for you to reach your target market and provide them with information relevant to the products and services that your company offers. As the number of persons that visit your company website increases, you will find that you will be able to generate more sales. To achieve this, all you need to do is create a profile on the various social media networks. The information that you post on your company’s profile should be appealing, and should grab the attention of your potential customers. The content should also be relevant to whoever is reading it. Social media marketing is steadily becoming more effective than traditional marketing. As there continues to be a growth in the number of social media websites, companies need to use this medium as a way to begin website promoting for their various businesses. Furthermore, references from these social media networks will help your company to rank higher in search engine results. Social media is not a form of commenting platform, nor is it a form of one-way communication; instead, it is a way for you and your target audience to engage in real conversations. Social media marketing has become so popular that we at DLP are now integrating social media marketing into our basic marketing plans. Let us help you reach your core audience directly!